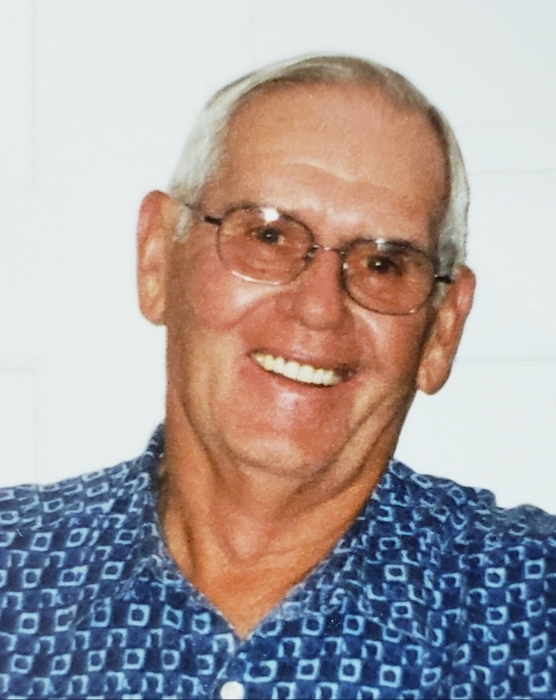 Donald W. Wellendorf Jr., age 87, resident of Ortonville, MN, died on April 4, 2019, at Ortonville Area Health Services Hospital. A Mass of Christian Burial will be held on Saturday, April 13, 2019, at 11:00 a.m. at St. John’s Catholic Church in Ortonville, MN, with Fr. Brian Oestreich celebrating the Mass. Visitation will be held on Friday, April 12, from 5:00-7:00 p.m. at Mundwiler and Larson Funeral Home in Ortonville, with a prayer service beginning at 7:00 p.m. Visitation will continue at the church on Saturday, one hour prior to the Mass. Inurnment will take place in Mound Cemetery. Donald Willard Wellendorf, Jr., was born on September 20, 1931, to Donald and Rachel (Redfield) Wellendorf, Sr., on the family farm in Artichoke Township, Big Stone County, Minnesota. Don attended country school and graduated from Ortonville High School in 1950. He married Audrey Joann Winje on October 16, 1954, in Graceville, Minnesota. After serving two years in the Army, including being stationed in Germany, he returned home to continue as the third generation working the farm, bringing it through its greatest era of growth and change. At age eight, he started cultivating with a two-horse team; in his seventies, he drove a 4-wheel drive tractor with auto steer. Don took great care with his farmstead, equipment, crops, and livestock. He was a jack-of-all-trades and master of all. He especially enjoying welding; he was inventive and helped neighbors with repairs. With his high energy and little need of sleep, a typical day might include giving the baby the 4 a.m. and/or 11 p.m. bottle, feeding and milking cows morning and evening, farm work all day, and then taking a load of cattle – his own or a neighbor’s – to the Sioux Falls stockyards during the night. He wondered what people who didn’t have rocks would do with their spare time. Don and Audrey raised their four children in the best place ever, and supported their interests in 4-H, sports, and music. He was a great driver and enjoyed traveling around the county and the country. At age 69, they moved to Ortonville, on the edge of town, appropriate for a farmer. The next two generations worked alongside him, and together they reached Century Farm status in 2012. He truly enjoyed people, especially babies and children, and could converse with anyone. He had many friends, and especially enjoyed the camaraderie of the silage chopping crew. Quick to serve and volunteer, he shared his positive, common-sense attitude and humble leadership as he served on the Boards of Agralite Cooperative, Agassiz-Odessa Insurance, St. John’s Parish Council, Big Stone County Fair, Ortonville School Board, and Artichoke Township. He will be greatly missed by his wife of 64 years, Audrey; children: Carol (Monte) Dybvig of Cambridge; Jim (Peg) Wellendorf of Morris; John (Holly) Wellendorf of Ortonville; and Bruce (Lynette) Wellendorf of Ortonville; fourteen grandchildren; seventeen great-grandchildren; and extended family and friends. He was preceded in death by his parents; brother, Erwin “Bud” Wellendorf; and sisters, Darlene Salverson and Phyllis Thompson.